StriVectin-SD is a skin care brand renowned in the beauty industry for developing high quality products that produce unparalleled results. Sitting under the StriVectin-SD umbrella and reputation is the Instant Retexturizing Scrub. Will StriVectin-SD Instant Retexturizing Scrub work as well as other StriVectin products? We need to look at the ingredients before we can make that determination. This scrub should polish your skin and encourage a healthier looking complexion, a goal nearly everyone has. The Instant Retexturizing Scrub is only a twice-weekly treatment. The potency helps exfoliate the skin and delivers strong ingredients that help rebuild skin layers. With its power, the scrub even helps reverse the signs of aging. The formula for the Instant Retexturizing Scrub uses Pro-Niasoms (jojoba beads infused with NIA-114) to help gently exfoliate the skin. 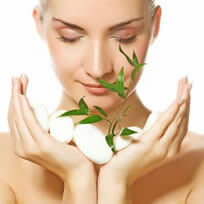 Exfoliating the skin helps remove pore-clogging impurities in order to reduce and control acne. NIA-114 happens to be a patented ingredient that rebuilds skin, which helps even skin tone and texture. Other key ingredients in the scrub include sage leaf for antioxidants, oat bran extract to moisturize the skin, and natural sugar esters to help cleanse the skin. 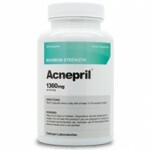 The overall formula is gentle and shouldn’t aggravate acne further. The retexturizing scrub may polish the skin and promote new skin cell growth, but it is not a traditional acne treatment. 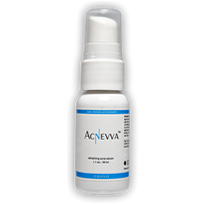 The formula lacks any acne medications or natural ingredients that directly address the symptoms of acne like inflammation or swelling. As far as acne is concerned, the scrub only exfoliates the skin and has no power to help shield the skin from outbreaks.The StriVectin-SD Instant Retexturizing Scrub is primarily an anti-aging treatment that promotes a toned texture rather than a clear complexion.